Topical drugs delivery includes treatment of body surface such as outer membrane or skin. The drugs are in the form of solid, semi-solid, liquid, gel, and transdermal patches. Topical drugs such as astringents and sunscreens are used in various treatments of skin conditions such as fungal, bacterial, viral infections, pruritus, inflammation, corns, warts; and many dermatologic conditions of the skin. The global topical drug delivery market is primarily driven by the increasing prevalence of skin disorders, burns, and swift increase in diabetic patients. The rising awareness about availability of treatment and healthcare facilities is major factor driving growth of the topical drug delivery market substantially. From past few years, the market has witnessed lucrative growth owing to large number of merger, acquisitions, and strategic partnerships. Nevertheless, the key players in the market have increased their investments to launch new products. More than 10 percent of product has lunched or approved in past few years. For instance, in 2015, the US Food and Drug Administration (FDA) approved Finacea Foam for a topical drug for inflammatory papules and pustules of rosacea. The gel is effective for mild to moderate rosacea. In July 2016, Galderma Pharma S.A. announced to FDA approval for full prescription-strength Differin gel for treatment of acne and epiduo gel for the treatment of acne in Japan. Differin is game-changer for consumers as acne has n proper and efficient solution. Acne is the most common skin problem to which the people facing, especially in the US more than 60 million teens and adults affecting by acne. And 45 percent of these are not satisfied with the treatment on the skin problem, said FDA. Epiduo is fixed-dose drug mainly formulated as 0.1% adapalene and 2.5% benzoyl peroxide gel to be applied once a day. Both the component are effective solutions on acne. The global market for topical drug delivery is estimated to experience a healthy growth throughout the forecast period. 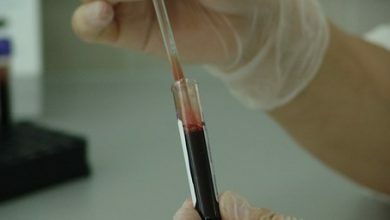 The growing demand for advanced and enhanced therapeutics is likely to offer lucrative opportunities in the coming years. Furthermore, the increasing number of approvals for new products for skin-related drug delivery are anticipated to accelerate the development of the market in the coming years. 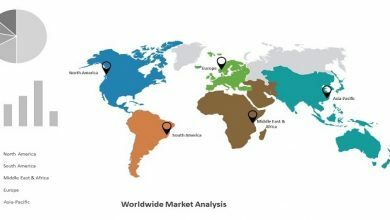 The rising prevalence of skin disorders across the globe is one of the prominent factor expected to encourage the growth of the global topical drug delivery market in the near future. Moreover, the rising incidence of burn injuries and the increasing preference of topical drug delivery are predicted to supplement the development of the market. However, the negative impact on consumers due to product recalls is likely to hamper the growth of the market in the coming years. Nevertheless, the increasing incidence of diabetes worldwide are projected to boost the demand for topical drug delivery in the forecast period. The rising focus on developments and the delivery of biologics using the transdermal route are considered as the major factors estimated to encourage the growth of the global topical drug delivery market in the next few years. In addition, the increasing number of mergers and acquisitions of small-size market players in order to enhance the market presence is anticipated to supplement the growth of the overall market in the near future. On the flip side, the limited therapeutic areas of topical drug delivery are likely to restrict the development of the topical drug delivery market across the globe. Nonetheless, the increasing awareness among healthcare facilities regarding the use of topical drug delivery is projected to generate promising growth opportunities for the leading players operating in the global topical drug delivery market in the near future. From a geographical point of view, a massive share of the global topical drug delivery market is anticipated to be held by North America in the next few years. A robust growth of this region can be attributed to the growing focus on technological advancements and new product development. North America is anticipated to be followed by Europe with a significant share in the near future. On the other hand, the topical drug delivery market in Asia Pacific is likely to register a healthy growth rate in the forecast period. The increasing geriatric population and the increasing disposable income are some of the key factors that are expected to accelerate the growth of the Asia Pacific market in the coming years. In addition, the rising focus of key players on untapped markets in developing economies and the rising healthcare expenditure are likely to supplement the development of the market in the coming years. 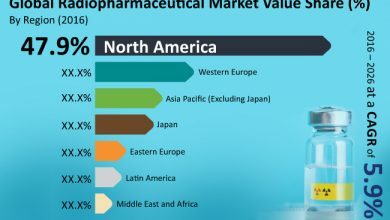 Some of the leading players operating in the topical drug delivery market across the globe are Novartis AG, Medpharm, Crescita Therapeutics Inc., Bayer AG, Cipla, Valeant Pharmaceuticals International, Inc., GlaxoSmithKline PLC, Janssen Global Services, LLC, Galderma S.A., and 3M Drug Delivery Systems. These players are emphasizing on the introduction of new and innovative products in order to attain a dominating position and attract a large number of consumers in the next few years. Furthermore, with the increasing opportunities in the untapped market across the globe, a significant rise in the number of players entering the global topical drug delivery market is projected. This is likely to strengthen the competitive scenario of the market in the near future. The key strategies and the marketing tactics that are being adopted by the prominent players have been addressed in the research study.